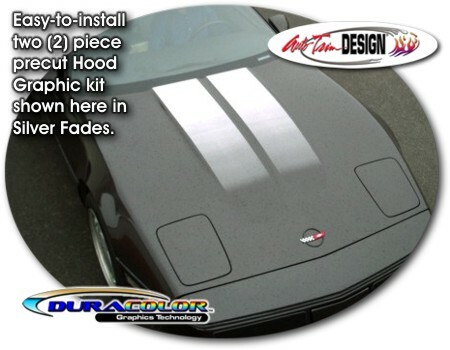 Highlight your C4's hood contour with these unique Hood Graphics that start as solid at the rear of the hood and fade to your vehicle's paint scheme to the front. Each Hood Graphic measures 11.067"x 41.207" (28.11cm x 104.67cm). Very easy to install.